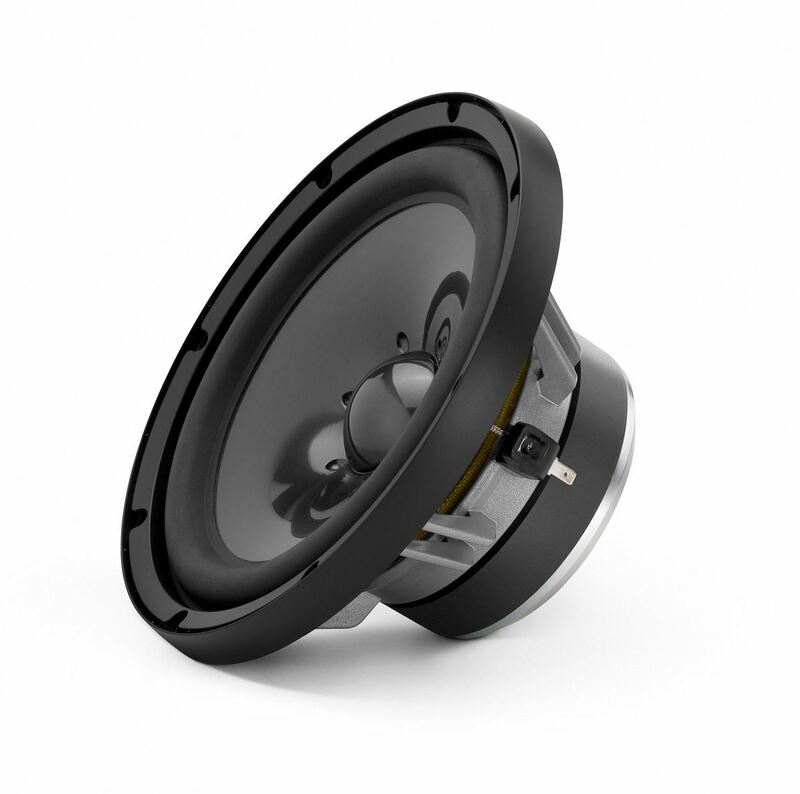 The ZR800-CW is a supremely powerful, dedicated mid-bass driver designed for infinite-baffle or door-mounted custom installations. This potent driver benefits from JL Audio's vast woofer design experience and advanced modeling systems and is capable of operating down into the sub-bass range, if needed. Upper frequency response extends comfortably to 1 kHz. The long linear excursion design keeps distortion low while unleashing the full dynamics of the most powerful listening material. A woofer grille is included, consisting of a black grille tray and a black steel mesh grille with an electroformed "ZR" logo.